HCL, the largest provider of temporary healthcare professionals to the NHS has appointed Found, the award winning digital marketing agency specialising in search engine optimisation (SEO), pay per click (PPC), social and mobile marketing to optimise its online profile. HCL was formed in 2003 as a staffing agency, and today supplies over 2,000 temporary and permanent doctors, nurses, allied health professionals, qualified social workers and administration and clerical staff to public and private sectors every week. To align with the changing needs of the NHS, HCL has recently restructured, creating an opportunity to increase its presence online. 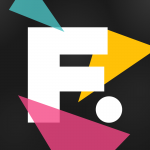 Found is one of the UK’s most innovative digital marketing agencies. Headquartered in London, its results-obsessed team have championed the wider use of the performance model across key digital channels including Search, Social and Mobile. Passionate about delivery, Found is well known for its innovative thinking and focus on achieving results for all its clients. HCL plc, headquartered in London, was formed in 2003 and is a leading provider of staffing solutions in the health and social care sectors. HCL supplies over 2,000 temporary and permanent doctors, nurses, allied health professionals, qualified social workers and administration & clerical staff to public and private sectors every week. We are an international company with offices in the UK and Australia and recruitment drives in Europe. For more information please visit our website at www.hclplc.com, view our Facebook page or follow us on Twitter. Found has led a new chapter for the Online Marketing industry, championing the wider integration of Performance Marketing to drive significant results across all growing digital channels. Focused on masterminding highly effective performance-based marketing campaigns which push the boundaries across Search, Social, Mobile and Affiliate, Found’s multi award-winning, results-obsessed team are experts in driving quality online traffic for such brands as Wilkinson, RAC, Premier Inn, Jane Shilton and the Post Office. The digital marketing agency has fast gained a reputation for finding new ways to build its clients’ businesses online, and its often ground-breaking campaigns are testament to Found’s belief that great performance comes from great people. For more information, please visit our website at www.found.co.uk. This press release was originally published on The Marketing Blog. Interested in learning more about our work and our clients? Visit our clients and case studies page for more information.